This is a continuation of “Being a Friend to Kenya“, written by Jordan Bush, featured in the November 2012 issue of the Fine Living Lancaster magazine. View in the PDF version of the issue here. You can find the article on page 142. Benta is a mother of nine children, a grandmother to four, and is the first wife of Akuno, who currently has two spouses. Her oldest three daughters married when they were children, in a culture that readily chooses marriage for a fourth grade girl over an education. 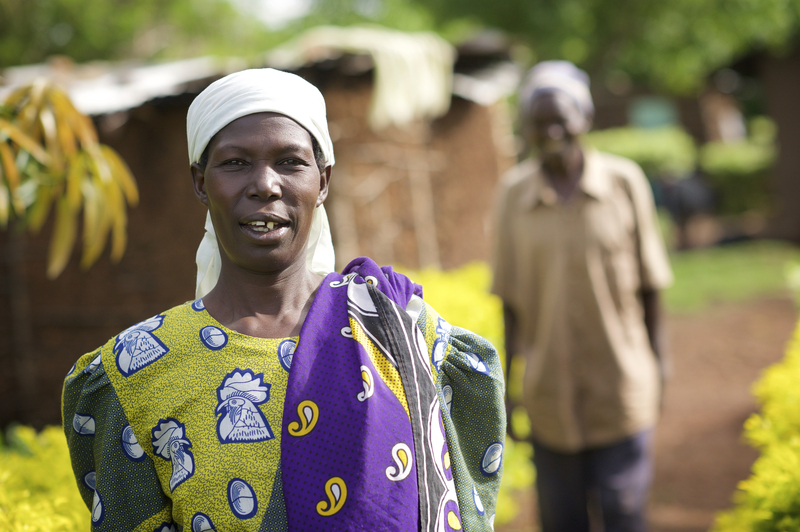 Their husbands cannot afford to support their children, so Benta has taken them into her home. Akuno is unfaithful, but he ignores Benta’s pleas so every six months Benta goes to an HIV clinic and waits for the result; still negative, though she believes it is only a matter of time until she tests positive for HIV. Akuno doesn’t see the connection between his unfaithfulness and the costly potential, as his personal actions have thus far gone without consequence. Akuno tells Benta that she can go back where she came from if she isn’t happy, yet she has remained faithfully by her family’s side. Benta lived a life entirely at the mercy of her husband. She existed as a second-class citizen, subject to physical and verbal abuse with no hope for independence. Today she works for Rafiki managing the farm, directing staff, and cooking amazing food. Benta is the sole provider in her growing household. She is also a member of Rafiki Women, a women’s empowerment program that provides life and agricultural skills, economic and spiritual support. Benta has become self-aware, and is one of the few independent women in her culture who can stand up to her husband, rejecting violence and gaining equality. She is among the most loyal, dedicated and courageous to be found anywhere, having an immensely driven work ethic and devotion to her family. Other women in the community are beginning to see the difference in Benta’s life and asking questions on how to start their own journey of empowerment. To support other women who are on this journey, volunteer with us or support our women’s program. Read Snapshots: Meshack & George.